Life is delicious. 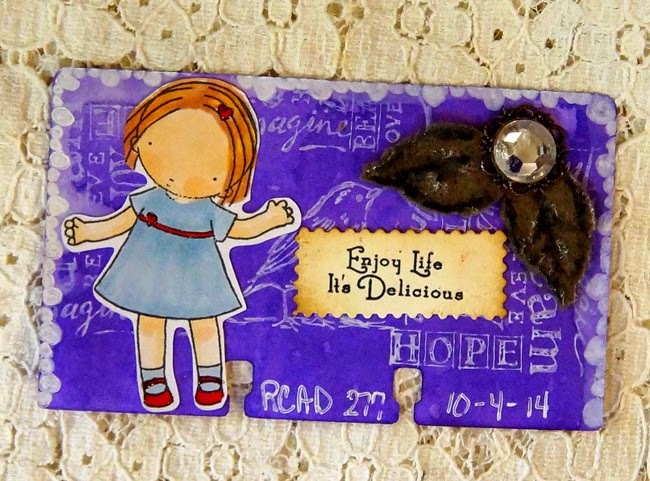 Todays card was made from some more goodies I found around the room or left overs from other projects. The PI girl is a stamp that I cut out with my Silhouette. I didn't get her perfect and I think that is why she was still on my desk. So I colored her and used her on my card. Here is the quick process video. I hope you are having wonderful crafty day! Oh so sweet Linda! !Love the Heather Ellis image - she has such gorgeous little gals!